Atlanta – March 23, 2014: A field of more than 13,000 registered participants hit the streets of Atlanta for the Publix Georgia Marathon & Half Marathon, produced and presented by Life Time – The Healthy Way of Life Company, on Sunday, March 23. Abraham Kogo, of Hebron, Ky, won first place in the marathon with a time of 2:33:21. Malcolm Campbell, of Marietta, Ga., took second place with a time of 2:33:56, while Belay Kassa, from Stone Mountain, Ga., earned third place with a time of 2:38:41. Justyna Mudy, of Rome, Ga., claimed the title in the female division finishing at 2:56:24. The race course traveled through metro Atlanta’s most interesting and historic areas including the Sweet Auburn District, Inman Park, Decatur, Druid Hills, Virginia-Highland and Midtown. Along the way, runners will pass landmarks including the King Historic Site, Carter Center, four college campuses (Georgia State, Agnes Scott, Emory and Georgia Tech) and Piedmont Park. Life Time – The Healthy Way of Life Company recently acquired US Road Sports and Entertainment Group, which produces both the Publix Georgia and the Michelob ULTRA 13.1 Marathon series (formerly the Allstate Life Insurance 13.1 Marathon). Life Time is now producing both Atlanta races as well as the Miami Marathon, The New Jersey Marathon, The Salt Lake City Marathon and others around the country. 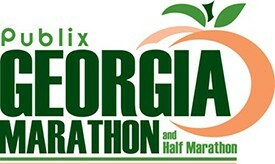 All results are available at http://www.georgiamarathon.com/. As The Healthy Way of Life Company, Life Time Fitness (NYSE:LTM) helps organizations, communities and individuals achieve their total health objectives, athletic aspirations and fitness goals by engaging in their areas of interest — or discovering new passions — both inside and outside of Life Time’s distinctive and large sports, professional fitness, family recreation and spa destinations, most of which operate 24 hours a day, seven days a week. The Company’s Healthy Way of Life approach enables customers to achieve this by providing the best programs, people and places of uncompromising quality and value. As of March 2014, the Company operated 109 centers under the LIFE TIME FITNESS® and LIFE TIME ATHLETIC® brands in the United States and Canada. Additional information about Life Time centers, programs and services is available at lifetimefitness.com.